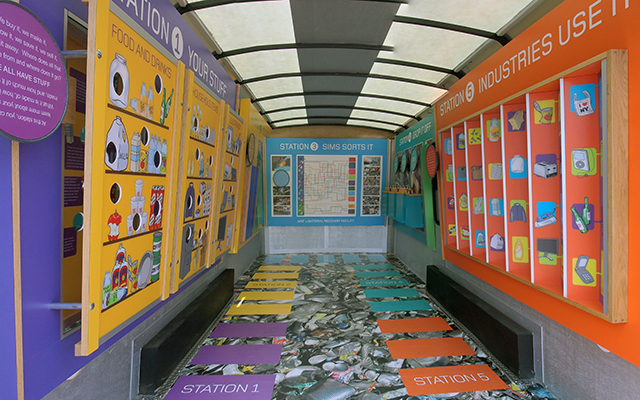 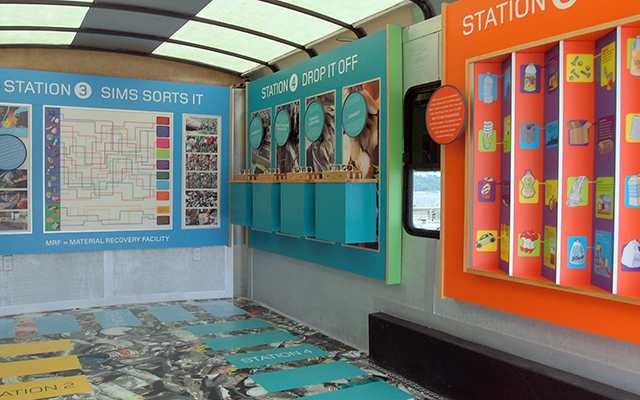 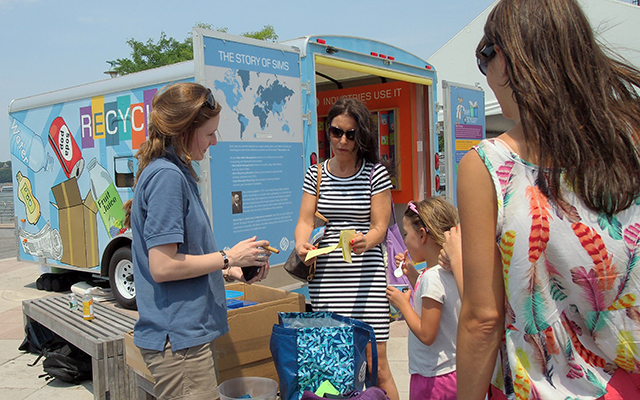 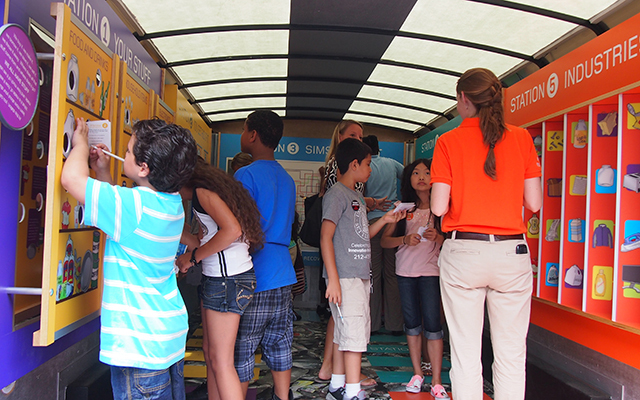 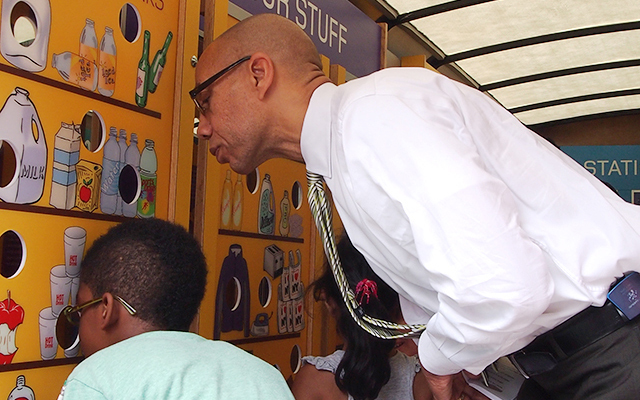 This trailer arrives at a school or public event to increase our awareness of the importance of recycling. 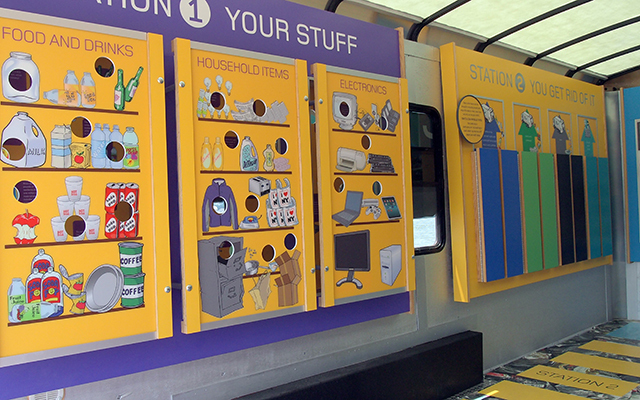 Why we recycle, how we recycle, and what recycled materials can become, are essential lessons. 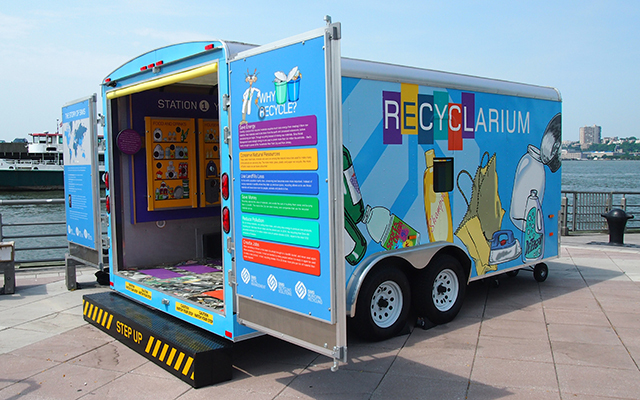 But reducing and reusing (TAKE-BACK) is part of the equation, too. 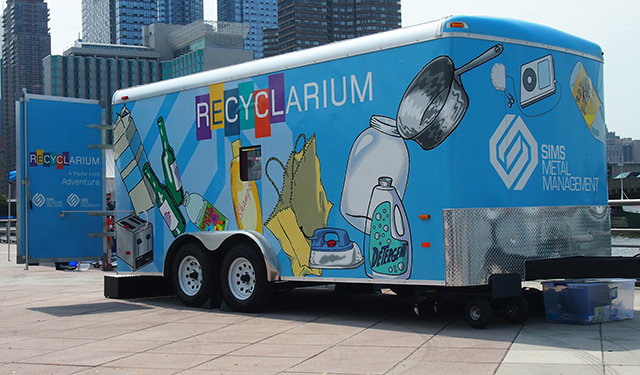 The RECYCLARIUM is a fictional name, a kind of Dr. SuessIan way of thinking about all the things we buy and we own, and we recycle or throw away.